Bride! Did you just get married or know someone who is a newlywed? 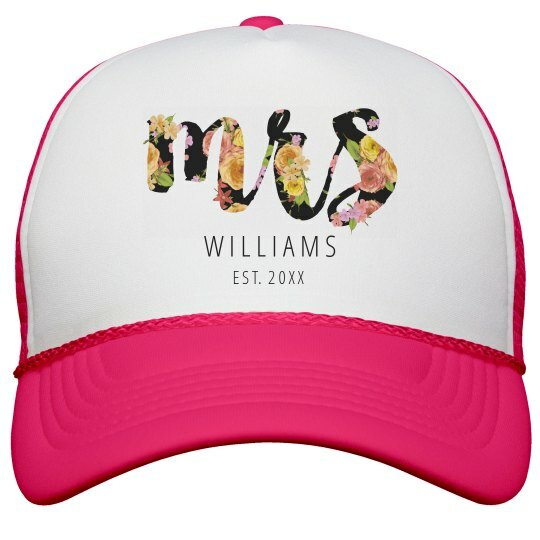 Get this cute Mrs. neon trucker hat for the newlywed! Customize the neon hat by adding her new last name and the date of her big day. Makes a great gift.